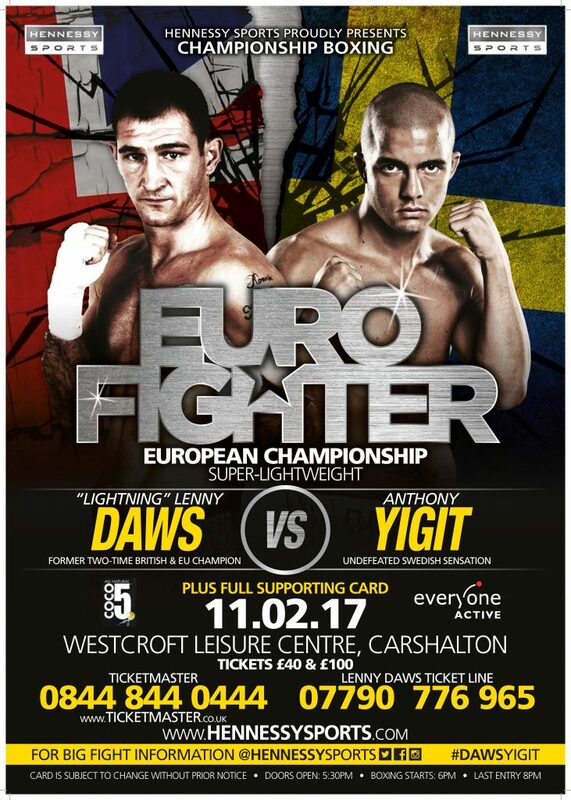 Tickets are now on sale for Lenny Daws’ EBU European Super-Lightweight title showdown against Anthony Yigit for the rescheduled date of Saturday 11th February at the Westcroft Leisure Centre, Carshalton. The British fight hero headlines the Hennessy Sports event titled ‘EuroFighter’ and aims to finally win the prestigious belt on his third attempt when he takes on the undefeated Swedish star Yigit. “Lightning” Daws, a former two-time EBU European Union and British Champion, is renown for his all-action and thrilling style and is now fired-up to put on the best performance of his career in the biggest fight of his life.